The apparitions of Garabandal are mentioned over 60 times in the True Life in God messages. 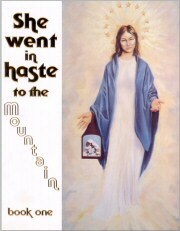 Vassula met the Garabandal visionary, Conchita, in New York in 1991 on the Feast of our Lady of Carmel. 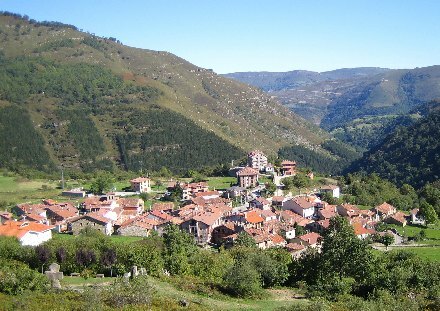 During the years 1961 to 1965, the Mother of God appeared over 2000 times to four children in the mountain village of Garabandal in northern Spain. The children were told that a series of supernatural events would take place; the first of which would be a Warning, intended to correct the conscience of mankind. Secondly a Great Miracle would take place as proof of God's immense love for the world. Then a Permanent Sign would remain in Garabandal as a constant reminder of the remarkable events that took place there, and as a forewarning of that which may still occur. Should we fail to accept these happenings and amend our lives accordingly, we would bring upon ourselves a terrible Chastisement. It would be God's own way to correct the path, redress the balance, restore perspective and make right His world.